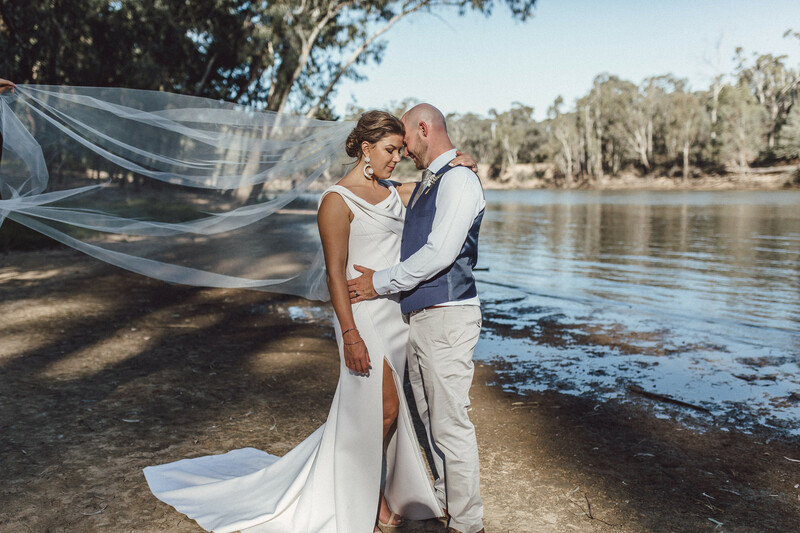 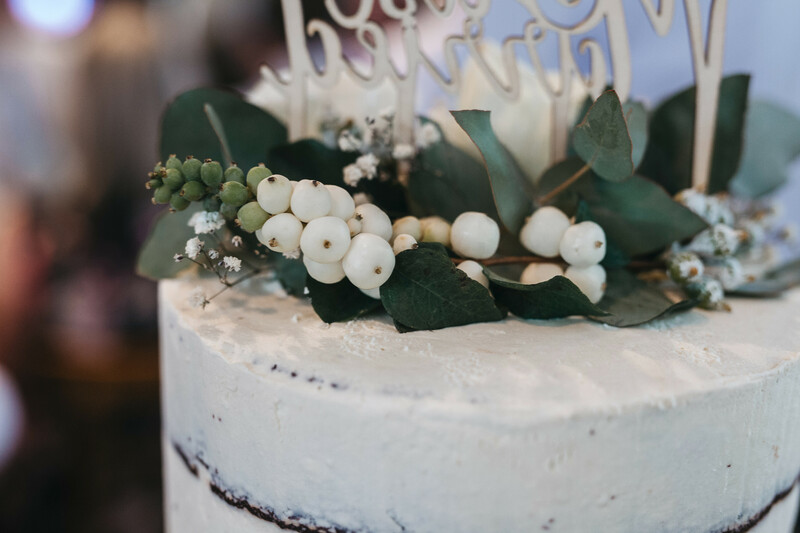 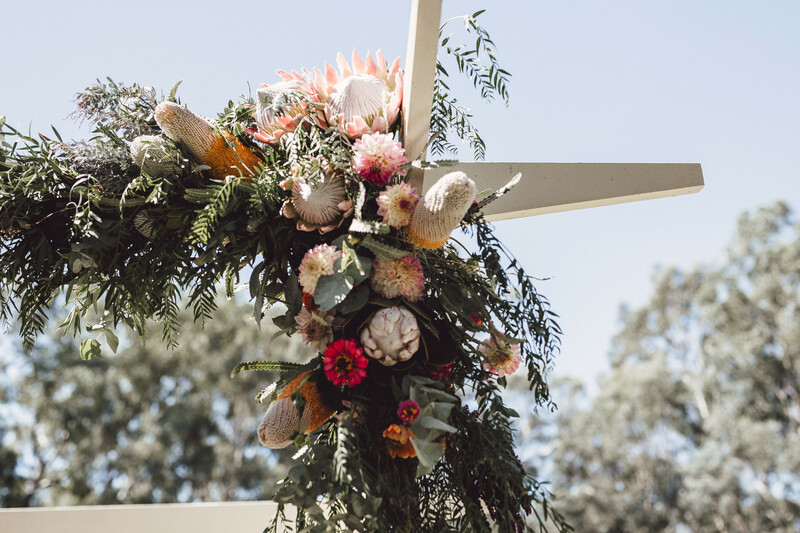 Having regularly holidayed in the area, and with strong family connections there, Moama was the perfect place for Laura Greve and Paul Robbins to cement their love, saying “I do” in a romantic ceremony at Morrisons Winery. 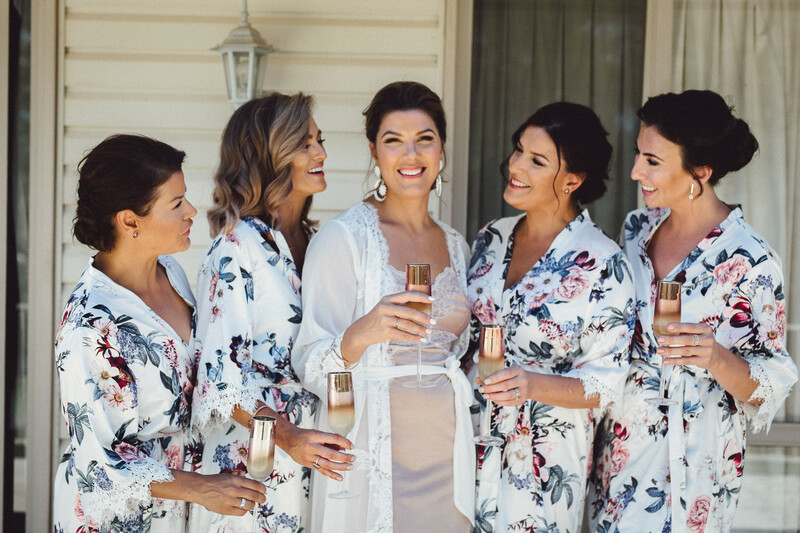 Laura Greve’s 30th birthday is a day she will never forget. 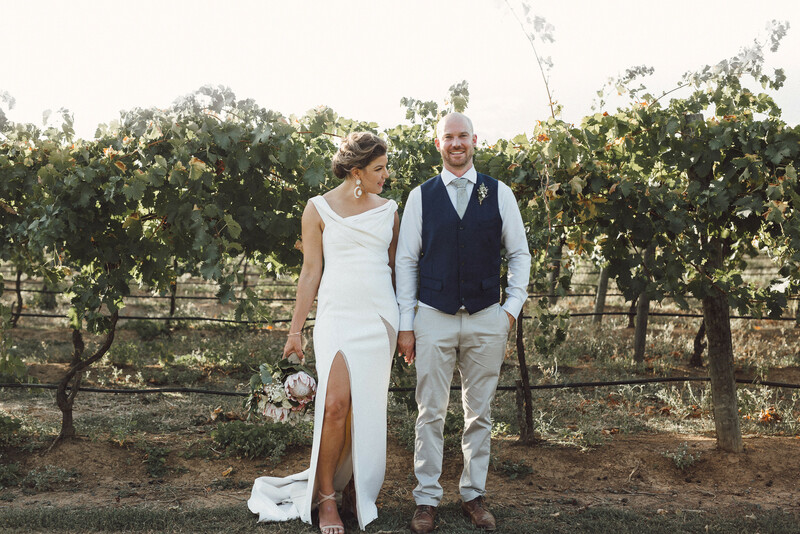 Tired and busy from moving into a new home, Laura was whisked away to the city by partner Paul. 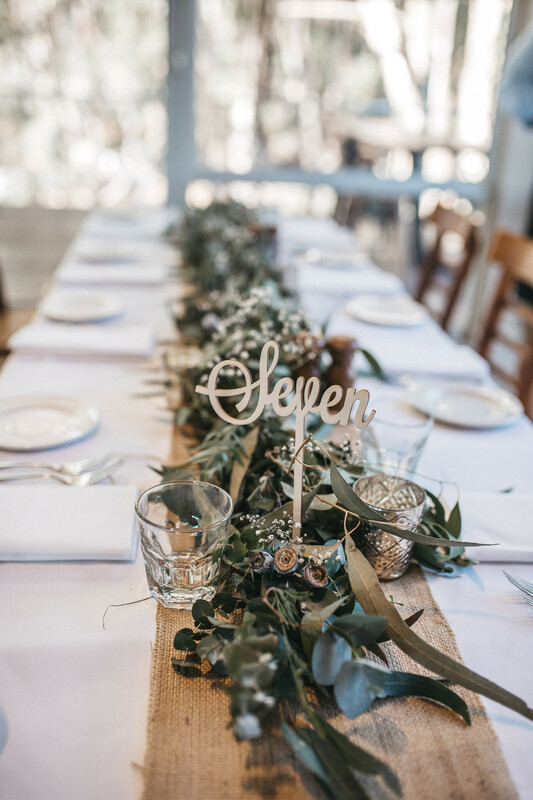 “We went to the city hotel, got ready and went out to Rockpool on Southbank for dinner. 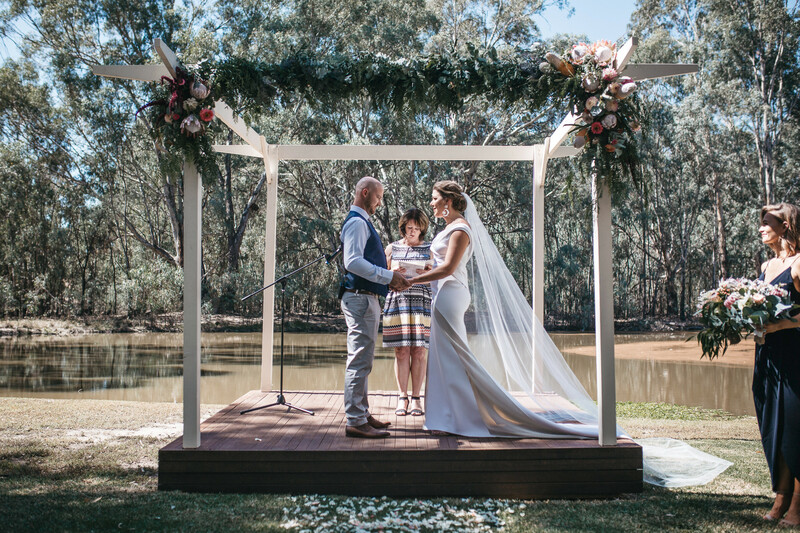 I had no idea that after dinner Paul would quietly whisper in my ear ‘will you marry me?’ I cried and said yes,” Laura said. 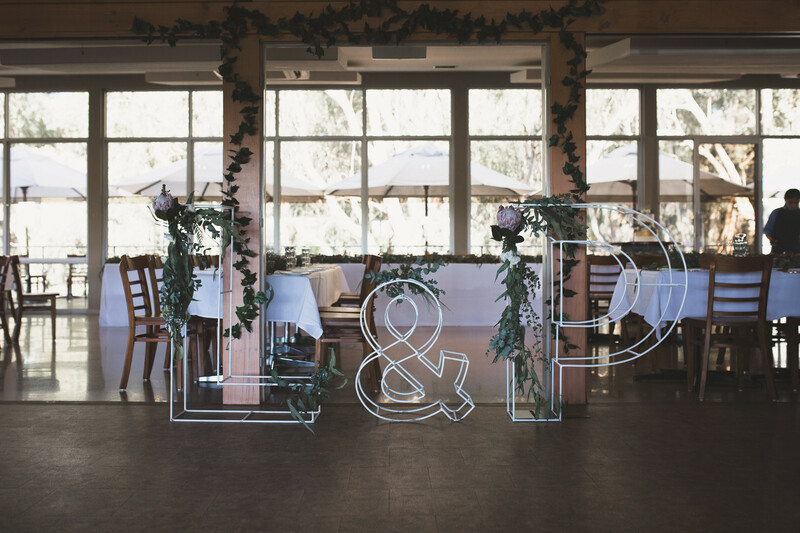 Laura and Paul practised for their first dance together as husband and wife for five weeks prior to their special day. 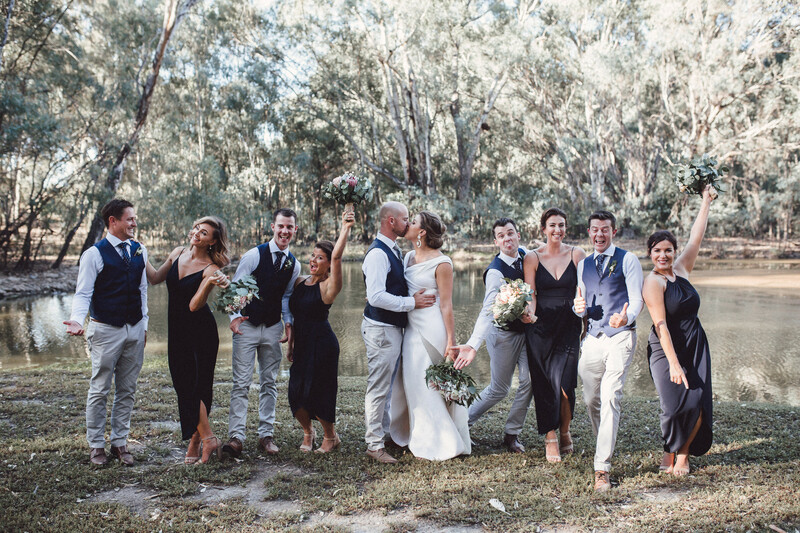 Their upbeat choice of The Blues Brothers’ Everybody Needs Somebody to Love had their family and friends joining in the fun. 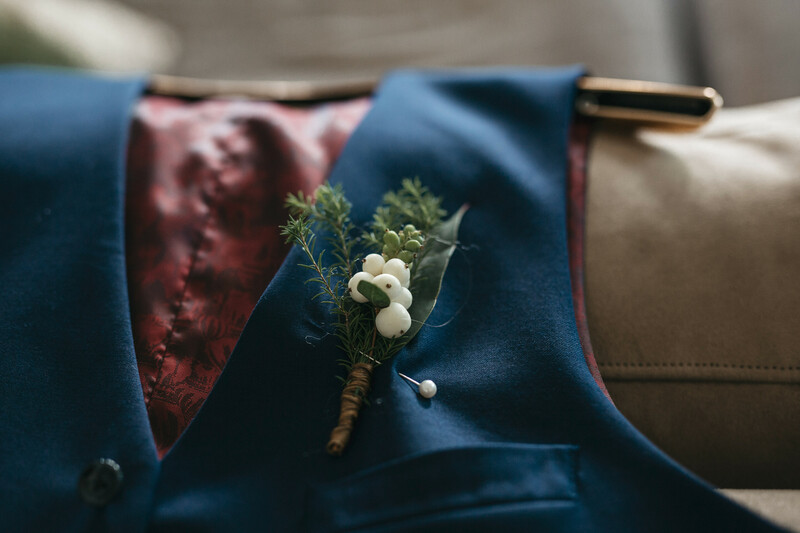 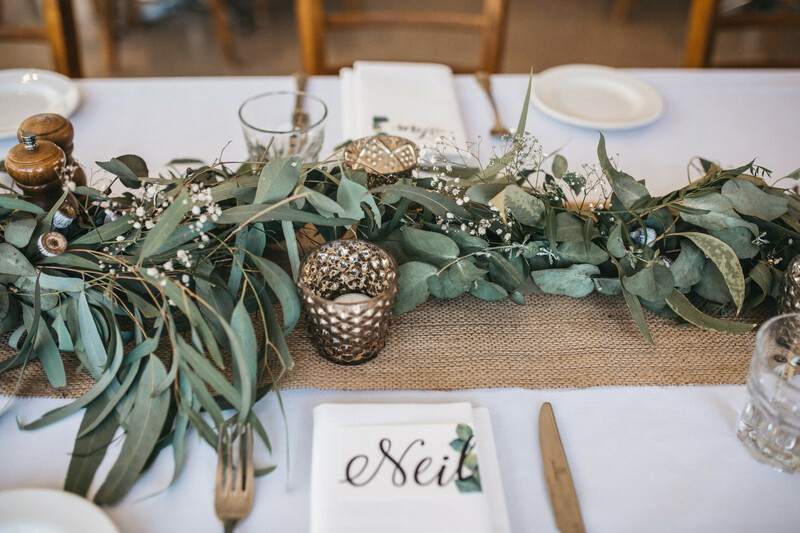 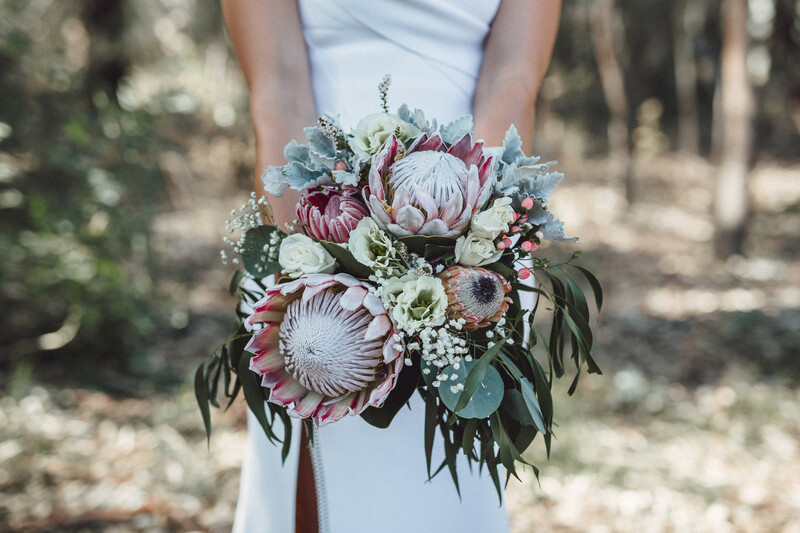 Stunning king protea and a plethora of native flowers and greenery helped create the rustic, yet modern vibe of the day. 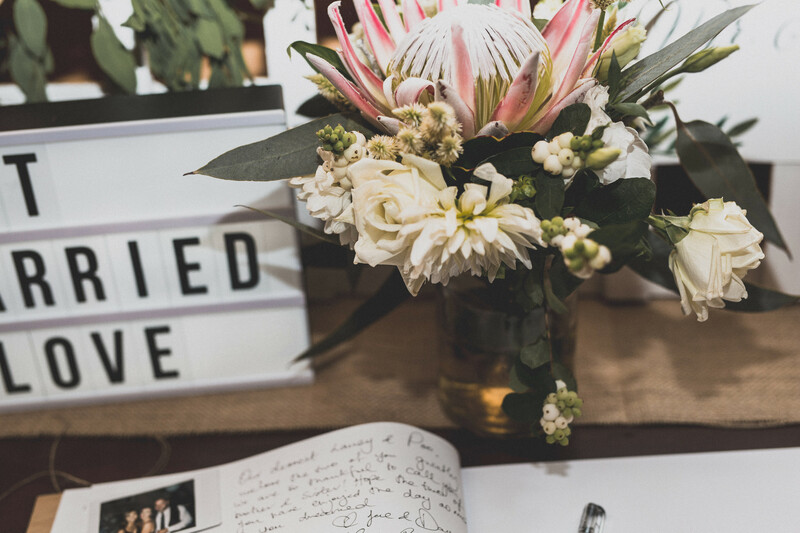 The couple exchanged vows under an arbour of flowers and everything from the welcome sign, table decorations, giant letters with the couple’s initials, flower-strewn aisle and even the cake were adorned with beautiful blooms. 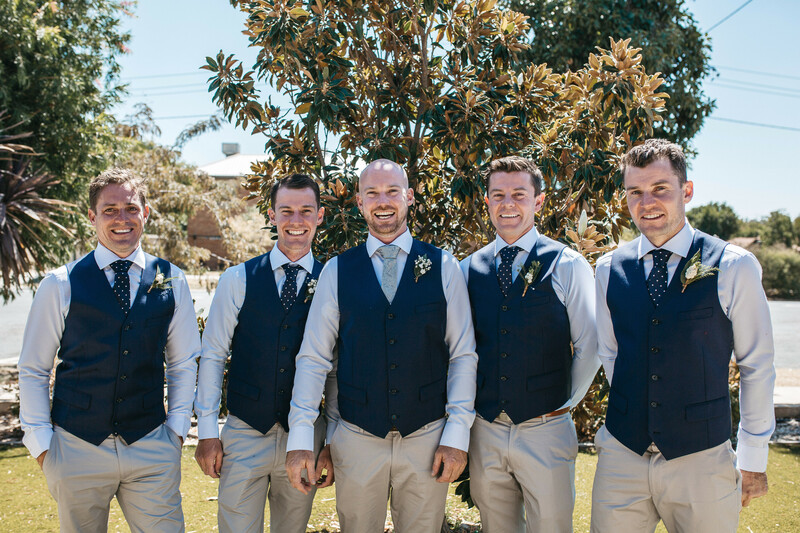 See more photos from Laura and Paul's wedding day over on our Instagram.